Are you renovating your shower or building a new one? You will need several tools to help with draining the water. One of them is a shower drain. It ensures that the water flows into the piping system properly. 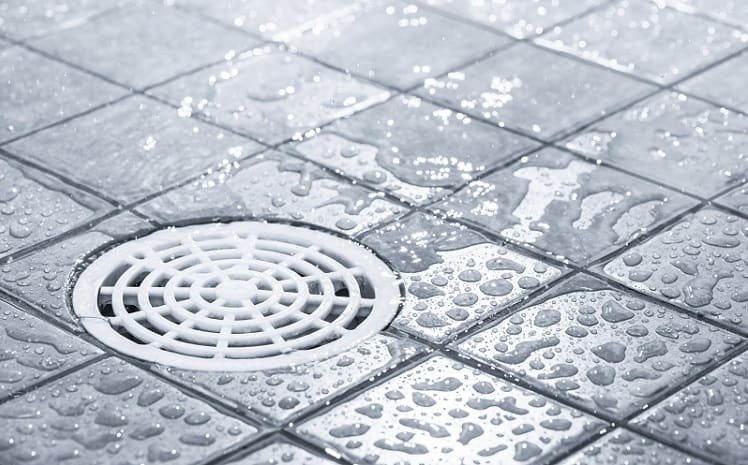 A drain holds off any particles that might block your drainage systems such as soap, balls of hair and hard water scum. The market has a wide range of shower drains. However, not every product is worth buying. 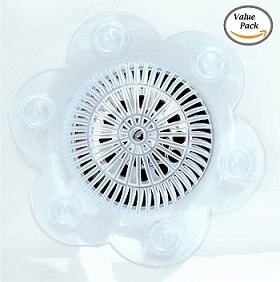 It is advisable that you purchase the best shower drain on the market. This way, you avoid wasting money on substandard products. Shower drains come in different designs. Depending on your preference, you can always find something that suits your needs. Do not buy drains blindly. You should know a few things about what you are purchasing. There are factors to keep in mind when shopping at the local store or ordering online. You should consider the durability of the product you intend to buy. Check the material it is made from to ensure it is long-lasting. You can never go wrong with stainless steel drains. They are spectacular, durable, and do not rust. The shape and size of the drain could be an issue for you. It depends on the types of drain you have in your bathroom. Make sure you buy an item that fits the shape and size of the drain. There is rectangular, square, and circular shower drains to choose. Ensure you buy a high-quality drain. It reduces replacement costs saving you money in the end. To establish the quality of a drain model, look at its material and the construction. Go for sturdy, well-built products to save you the frustration and disappointment of buying poor drains. Ebbe E4401 comes in a silver color that suits every décor. The polished chrome finish elevates its elegance. It is usable both indoors and outdoors considering its colorfast characteristic. 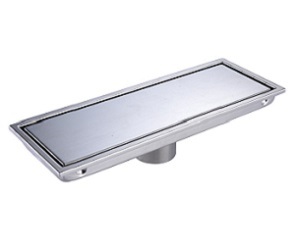 The manufacturer uses stainless glass and polymer frame to make Ebbe drains. They have PVD (Physical Vapor Deposition) coatings that guarantee durability. The package includes a grate puller to give you an easy time removing it. Simply twist and pull the puller to remove. The brand features many holes to ensure efficient flow of water by holding off as many particles as possible. About design, this is a sturdy, heavy drain thus; you are investing in an item that will serve you for a while. It is high-quality too. The tool works well in the shower to keep it hygienic. If you are looking for a square-shaped shower drain, include Ebbe on your list of items to consider purchasing. Installing square drains is always easier than fixing round ones. You do not need screws or binding to install the drain. It is suitable for tiled bathroom floors. Maintaining this product is never difficult. Lekeye Shower Drain is one of the best shower drain for various reasons. For example, let us start with its conspicuous design, which differentiates it from the other shower drains. That said, this brand is circular with a stainless steel and silicone construction. It is a hair catcher worthy to be in your bathroom. Stainless steel does not rust while the silicone edge ensures unwanted materials do not get into the plumbing system by holding the drain in place at all times. 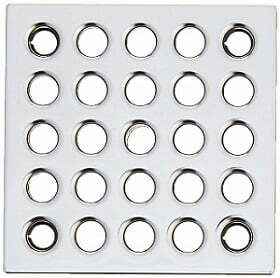 The elliptical holes are designed to ensure the drain catches hair to prevent blocking your drainage system. This product has an intermediate semi-circle construction that fosters effective drainage. It is easy to clean at any time thanks to the rustproof steel and silicone materials used in making it. Regarding installation, it fits flat on the drain for maximum water flow. The drain is of high quality. There is no reason for you to purchase another product with poor quality when you have Lekeye. 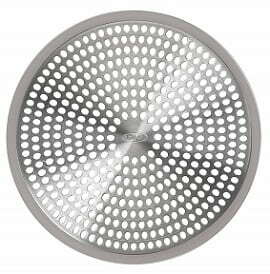 Like the previous product, Oxo Shower Drain also utilizes a silicone and stainless steel body. The two drains look similar that it can be hard telling them apart. Well, Oxo boasts of a good grip. Once you install it, it stays put; no sliding of whatsoever kind. Cleaning the tool cannot be any easier. Steel and silicone are easy to clean. All you need is hot water, soap, and a brush. 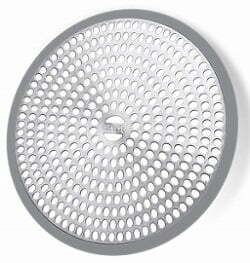 If you have not yet tried a circular shower drain, keep in mind buying this brand for a change. It will transform your space. Fixing it is simple. Durability is another thing the drain provides users. You will be able to save cash over the years and evade frequent drain replacements. When you love stylish products, think about acquiring Oxo. It goes well with both simple and sophisticated decors. Do not worry about installation. Like the other best shower drains in that expert guide, Oxo gives you an easy time fixing. Plastic drains work as fine as metallic ones. SlipX is a plastic drain with an intriguing design. If you love sophistication when buying products, put in mind this item. A single package has two drains. They are good at catching hair in the shower. Besides, you will always have a spare drain in case one fails to work. The item is a universal fit for standard tub and shower drains. Six suction cups ensure it stays intact after installation. On cleaning, SlipX is one of the drains that do not mind machine-washing. This promotes easy maintenance and saves you time to concentrate on other tasks. It consists of vinyl, which fosters long-lasting usage. This product suits showers and bathtubs. There is no need of buying separate drains when you have a brand that offers two drains in a pack. The suction cups last long and provide a tight seal as well. As an example of the best shower drain, Kes Sus offers several positives. For instance, it has a removable cover that increases convenience. The 11.8-inch length provides enough room for water to drain efficiently. With the stainless steel material, this drain looks as good as new for a long while. It is rustproof thus making your shower a clean, healthy place with less filth. The brushed finish adds to the beauty of the product. This is a durable, strong, rust-resistant drain. The metal construction offers stability not forgetting the stainless steel material. The drain is usable not only showers but also kitchens, basements, and garages. Kes Sus understands that users deserve high standard products. Rest assured you are investing in a worthwhile item. What makes Hanebath the best shower drain? Well, there are several things to like about this product. For example, it boasts of high-grade stainless steel construction. The tough steel makes it a durable product. It does not rust, thus ensuring your shower drain looks attractive all the time. 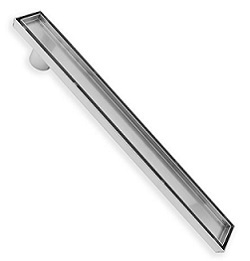 The brushed finish gives this item an elegant, contemporary look in any decor. It also hinders buildup of scum in your shower keeping it as hygienic as possible. Hanebath’s 12-inch length and rectangular shape provide adequate room for the shower water to flow fast into the pipes. This top-notch product is usable as a shower drain, shower grate, and bathroom floor grate. It is that versatile. The brand is easy to mount and highly adjustable. You do not need any unique skills to set up. The adjustability gives you an easy time fixing. If linear drains are not your favorite, Kohler presents you a square-shaped shower drain. It is suitable for tile-in showers. This sturdy product stands shock and high water pressure. It stays in place no matter what. About design, Kohler has a grooved collar, which serves as weep holes. 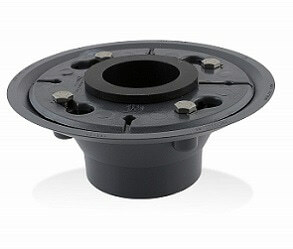 The flange adapter ensures a tight seal. The seal keeps away unwanted particles from reaching the drain beyond. Do not worry about water tarnishing this item. It stands in harsh conditions. The oil rubbed bronze material offers it protection from damage. There are many finishes to choose from to suit your taste. You can be sure of finding one that appeals to your needs. 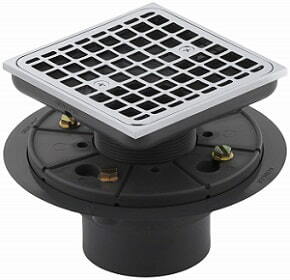 The interior tailpiece suits two-inch drain while the exterior piece fits three-inch drains. Why would a brand appear more than once in a product review? It means you should not ignore it. As one of the best shower drains, this Kohler model comes with a perforated strainer, which sieves particles that might block your plumbing system. You do not have to worry about clogging or accumulation anymore. The sturdy construction guarantees its durability. Enjoy the connection gasket that is always helpful. This brand is appropriate for two-inch caulk connections. The polished chrome looks sleek in any shower. Why buy a dull drain when you have Kohler? If you like stylish products, this model is a must-buy for you. Remember, it is not linear or square but rather round. Nonetheless, it does a great job in your shower. The list of linear drains includes Zoic. It is an impressive product. 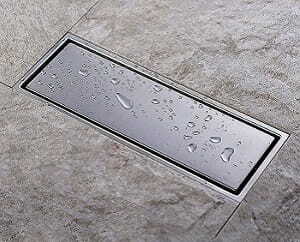 As the best shower drain, it presents users with admirable features. For instance, it offers you two installation types of frameless tileable and closed design. You have the freedom to choose the design that suits the floor of your shower. The side outlet ensures easy installation around walls. You will love the marvelous tileable construction. It makes you think that the water is flowing into the floor. The tray is simple to remove for cleaning or maintenance. Whichever design you select, it is made of durable, non-corrosive stainless steel. It is eye-catching and of a marine grade. Rest assured you are investing in the best shower drain worth the money. Sometimes you may want a shower drain not made from stainless steel. Well, Aqva is a PVC drain base, and it is as excellent as the tough steel drains. It features a rubber gasket that is compatible with luxe and other two-inch linear drains with no hubs. It is a flanged shower base with a UPC approval, which makes it a credible item. The make is high-quality with a rubber seal that ensures efficient water flow and no blockage. Installation takes a few minutes. You do not have to be a plumber to fix it. Shower drains are usually simple to maintain. Cleaning them is not difficult. The items you need are already in your kitchen. The first thing to do is to remove any dirt above the cover such as scum and hairs. After that, you should lift the drain cover and put it aside. Next, pour baking soda into the drain and wait for like 10 minutes before adding vinegar. When the two components mix, they cause foaming. They assist in breaking down filth that can clog your shower drain. Wait for a few minutes for the baking soda-vinegar reaction to cease then pour water into the drain to sweep away the dirt. That is not all. You should scrub the drain using a good brush until it is sparkling clean. Remember to clean the cover too. A shower drain does not log often. Whenever you still need to keep it clean the shower drain. Consider pouring hot water into the drain. This way, you prevent a build-up of large masses of dirt, which makes unclogging a lot easier. However, do not use boiling water if your home has PVC piping. It will loosen connections thus affecting efficiency. Instead, use hot water. Metal pipes do not have issues with boiling water. Also, collect any dirt (such as hair and scum) that accumulates above the drain. Doing so ensures that water flows fast. The last thing you need is water pooling around you when showering. It is a disgusting situation. The type of drain you install depends on your preference. The market has a variety of products to select. Some feature simple designs while others sophisticated ones. If you like, you can get custom drains according to your specifications. With linear drains, water flows in one direction. The shower floor should be sloped in one direction leading to the linear drain. It gives your shower a seamless look. The drain is usually at the back of the shower or the entrance. There are different styles and lengths to choose from. Center drains direct water to the middle. Therefore, it catches water flowing from every direction to the center of the drain. This means the floor has to be sloped in four directions towards the drain. Perhaps linear and center drains are not what you are looking for. It is possible to get custom drains for your bathroom. There are manufacturers that offer products to suit what you want. They are placed at the corner of the shower. Thus, they are likely to have a triangular shape. Corner drains are unique and ad aesthetic value to your shower. Grates can serve as shower drains. They usually have larger holes than standard drains. The grate is useful in places with multiple showers such as community areas. The big holes allow big debris to pass through. Grates are also usable in homes with tiled bathroom floors. If you have a tub in your shower, then you will need a combination drains. They come in different designs for an instance foot lock, lift and turn, pop-up, roller ball, and plunger. After research and read that expert guide, you to decide which one of them will fit your needs. When you cannot identify the best shower drain to purchase, guides and reviews come in to help you. From the above guide, you have no excuse for buying a low-quality drain. All the five products are good purchases. It is a most important factor to decide which one best appeal to you. Look at the individual characteristics of the product you want to acquire. There is no harm in buying several drains to experiment on how they work. As long as you know the shape of the drain in your bathroom, be it linear, square or rectangular, there is a particular product for it. As you order shower drain, keep in mind factors in the introductory section. No more guesswork when shopping. Always spend money on quality, durable, and efficient drains. They will save you unnecessary maintenance and replacement costs.